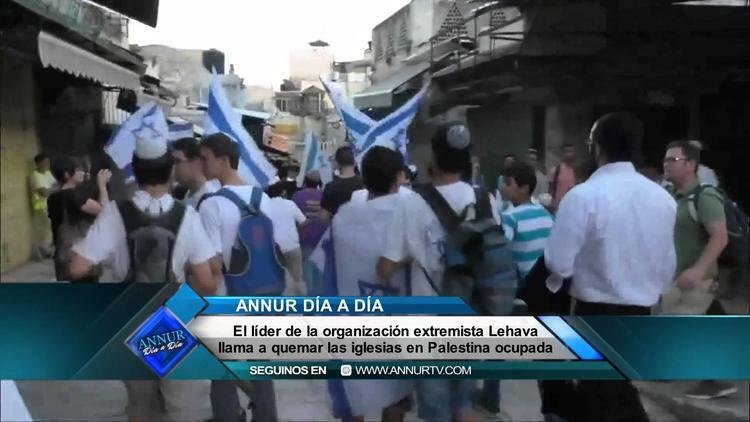 JERUSALEM (Ma’an) –The leader of a Jewish extremist group in Israel allegedly called for arson attacks on churches in front of Israeli students, Israeli media reported on Thursday. After the release of the video, Gopstein said he “stressed several times” that he was “not calling to take operative steps,” instead he said that it is “the responsibility of the government, not of individuals” to abolish the Christian practice of idol worship. The Israeli government has taken steps to crack down on Jewish extremism over the past week, after suspected Jewish extremists torched two West Bank homes, burning an 18-month-old infant alive and critically injuring the baby’s mother, father and brother. Three right-wing extremists were arrested on Tuesday in connection to the arson under an administrative detention order after Israel’s security cabinet approved the use of the measure on Jewish Israelis. The arrests marked the first time a Jewish Israeli has ever been held under the policy of administrative detention. Despite announcements by the Israeli government in May 2014 to crack down on violent attacks carried out by Israelis against Palestinians, prosecution rates on Jewish extremist remain remarkably low. NB: didn’t find an English-language clip on this incident & figured many readers can follow the Spanish.